Captiva Spine is a medical device organization located in Jupiter, Florida, dedicated to creating sincere and collaborative relationships to deliver smart, elegant, and intuitive spine fusion solutions. 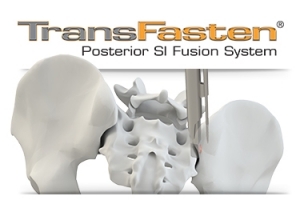 Today, Captiva Spine is announcing the alpha launch of the TransFasten Posterior SI Fusion System. 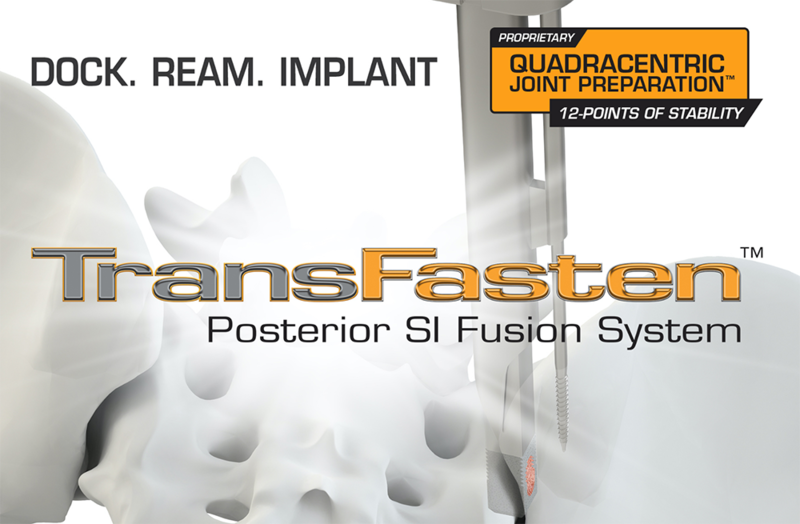 The TransFasten Posterior SI Fusion System was developed in conjunction with Robert Lins, M.D., Orthopedic Spine Surgeon at The Center for Bone & Joint Surgery of the Palm Beaches. A) Dock the QuadraCentric Drill Guide at the SI joint. B) Ream the implant site. C) Impact the QuadraCentric Implant and graft material. “The launch of TransFasten (a posterior SI fusion system) is a key milestone in our drive to deliver clinical and economic value for patients, surgeons, and healthcare facilities,” said Dale Mitchell, President and Founder of Captiva Spine. Posterior Approach – Potentially reduces operative time and Neurovascular complications. 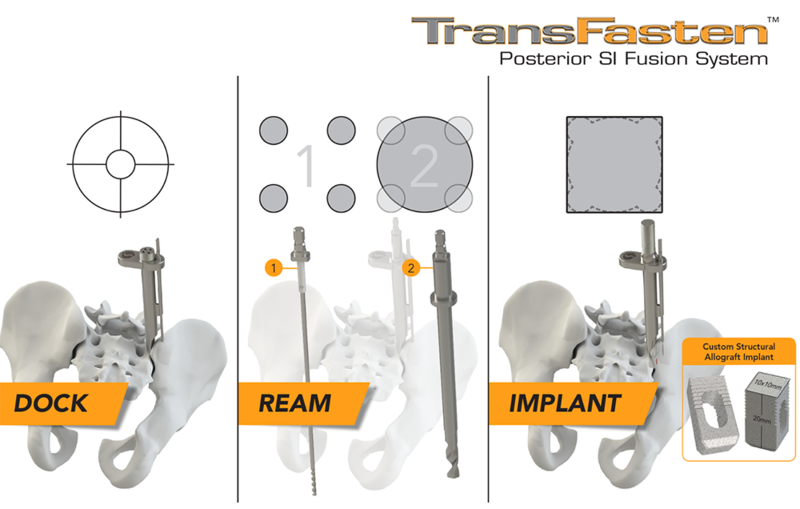 Posterior Fusion Site Preparation – Allows for efficient preparation of the joint and press fit implant placement. A form of “Mortise and Tenon” Stabilization of the SI Joint (a proven and established method of Architectural Stabilization) – The geometry of the TransFasten implant across the joint is designed to stabilize the motion segment without disrupting the anatomy and creating new pain generators. 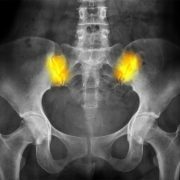 Structural Allograft Implant – Custom allograft implant includes a large trans-joint graft window for accommodating a biologic fusion. Training Opportunities Available. Call Captiva Spine direct at 561-277-9480.